A lot has been written lately about the Equivalence of Technology (EoT) in the LMP1 class since the pre-season test at Le Castellet and the opening race of the FIA WEC Super Season in Spa. 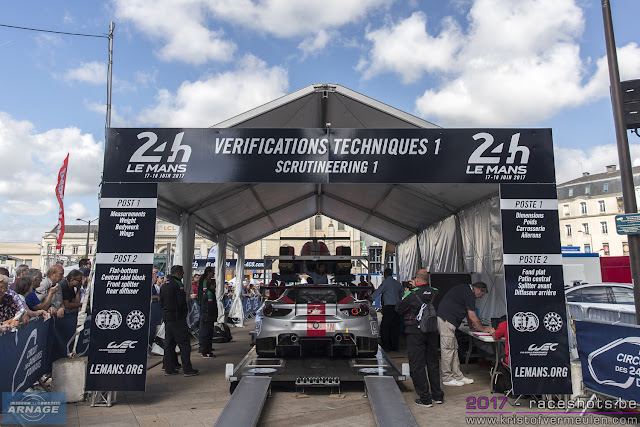 With the Le Mans 24 Hours Test Day fast approaching, the ACO has released an interview with ACO Technical Delegate Thierry Bouvet who explains what’s what when it comes to Equivalence of Technology (EoT). Can you explain the difference between Balance of Performance (BoP) and EoT? 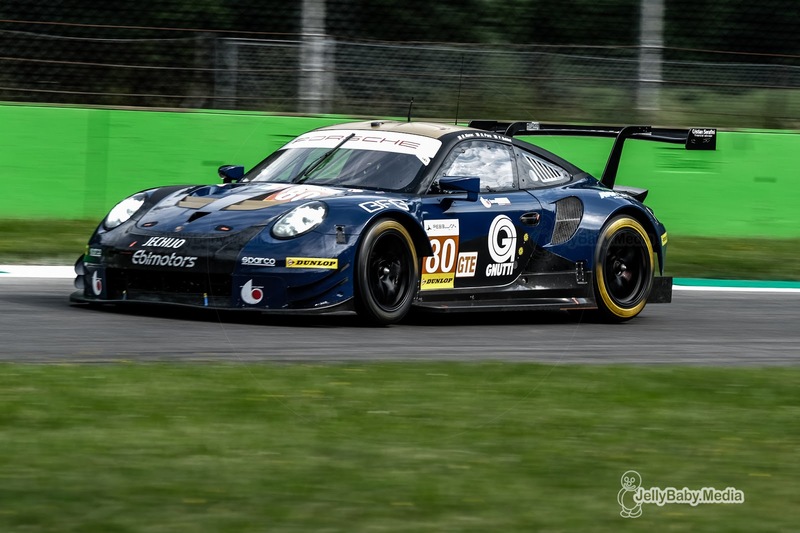 Balance of Performance applies to the LMGTE class and is intended to encourage parity between sports cars with different technical features (front vs rear engine, for example). To ensure competition is as fair as possible, race organisers seek convergence in terms of aerodynamics first and then consider weight, output and fuel tank capacity. EoT has been introduced now that hybrid and non-hybrid cars are in direct competition in LMP1, to ensure a level playing field in the top class. Toyota being the only manufacturer entering a hybrid car (classed as LMP1-H) for the 2018-19 FIA World Endurance Championship Super Season, the factory’s competitors are private teams using non-hybrid technology (LMP1-NH). EoT is designed to ensure that the new contenders can compete with the Toyota TS050 Hybrid fielded by the manufacturer since 2016. What principles are EoT based on? We devised an EoT in 2014, with the FIA, to create parity between petrol and diesel cars. The adjustments were based on fuel allocation (flow rate and allowance per lap), which influences performance and range. A flow metre and sensors are vital in measuring this. Today, given that the regulations are different for hybrid (LMP1-H) and non-hybrid (LMP1-NH) cars – particularly concerning aerodynamics and weight – and that there are even differences according to engine types in the non-hybrid entries, we have again opted for an EoT. Last winter, we set up a working group of members of the FIA, the ACO and LMP1 engine and chassis constructors to define the outline. We had all the data on the Toyota TS050 Hybrid prototype. The non-hybrids were at the production stage, so the constructors supplied simulations, which obviously meant that changes to the EoT could not be ruled out. Everyone was aware of that. 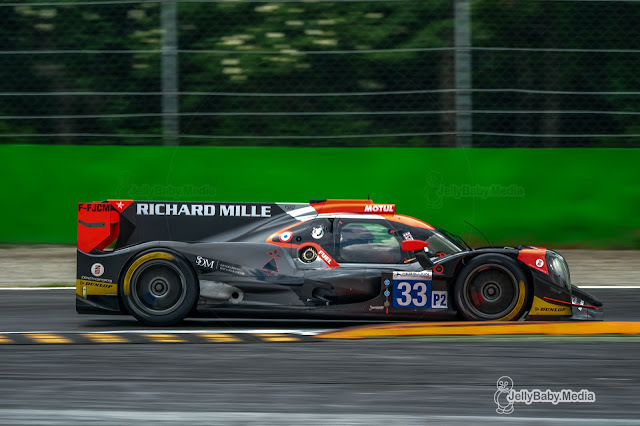 The WEC Prologue and the first round at Spa provided precious feedback. Bearing in mind that the non-hybrids are still in the development phase and therefore have plenty of potential for improvement, we have already made some alterations. Our role is to ensure fair competition. The allowances for non-hybrids are intended to make up for a handicap compared to a hybrid car, not to give them an unfair advantage. It’s a balancing act, but there are means. In the same way, hybrid technology must remain relevant. At Le Mans, a hybrid does a lap more per stint than a non-hybrid. With the Test Day only days away, EoT is still under debate. The balance between the naturally-aspirated and turbo engines has been criticised, for example. When we examined the situation in 2017, we decided not to differentiate between the two because there are many parameters to consider beyond output. Turbo engines have heavier components and need a cold air intake system, and fuel consumption can differ too. All of that affects the car’s performance (weight distribution, drag, etc.). 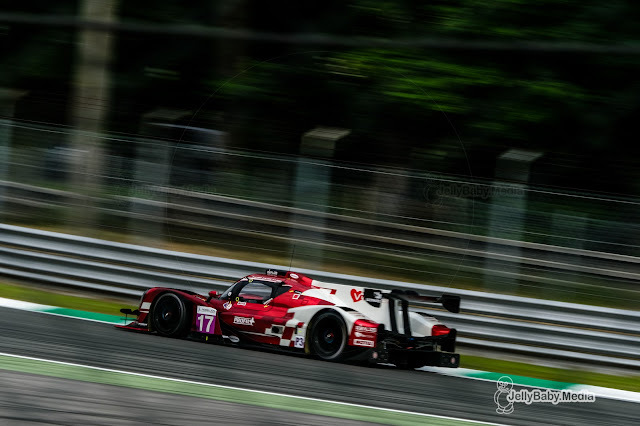 Once we had analysed the data we obtained at the Prologue and Spa, we drew our conclusions and made the relevant adjustments to EoT for Le Mans. 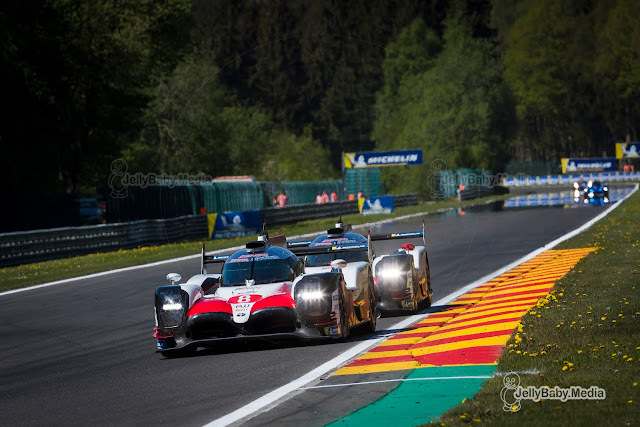 At Spa, the Toyota was faster than the LMP1-NH by a second per lap. For the Test Day on 3 June, you have reduced the fuel-flow for non-hybrids to 108 kg/h rather than the 110 kg/h with which they raced at Spa. The flow for the hybrid remains at 80 kg/h. Why? When the EoT was created for the 2014 championship, to keep consistency of the hybrid usage with the other car systems, the hybrid coefficient was multiplied by 55% per kilometre at the shorter circuits compared with Le Mans (where the long straights alter the balance). That rule therefore applied at Spa. Relative performance of hybrids and non-hybrids differs between Spa and Le Mans. Hybrids are at a relative disadvantage at Le Mans. We used the data collected during the first two outings to adjust EoT for Le Mans and to close the gap between private and factory teams. Again, between Spa and Le Mans Test Day, the privateers will have progressed. The ACO and FIA specialists will continue analysing data during and after the Test Day. Some non-hybrid competitors are worried they’ll have to hold back. Fuel consumption per lap is a real restriction. It’s difficult to manage if left to the driver. That’s why factories have developed automatic solutions. Encouraging privateers to do the same would involve pointless expense. That’s why the EoT that will apply on Test Day does not specify consumption per lap or per stint. So, there is no reason for drivers of non-hybrids to hold back. All the data collected during Test Day will be analysed by the FIA and the ACO and published for Race Week. Elton Julian, owner and team manager of Dragonspeed, announced the teams' return to the LMP1 class at Le Mans in a video posted on twitter yesterday. Julian started off with Pietro Fittipaldi's recovery which is going very well in Indianapolis. The Dragonspeed LMP1 program will be started up immediately again, beginning with the Le Mans test day next week. The reason is that the Dragonspeed team is happy with the findings regarding Fittipaldi's accident. Everything posts to a very obvious problem that will be rectified by the Dallara and gives the team the confidence to build a new car which will be hopefully ready in time for the test day. There's a lot if work to be done to build a new car in less than two weeks time but the team is confident and will go for it ... it's Le Mans ! 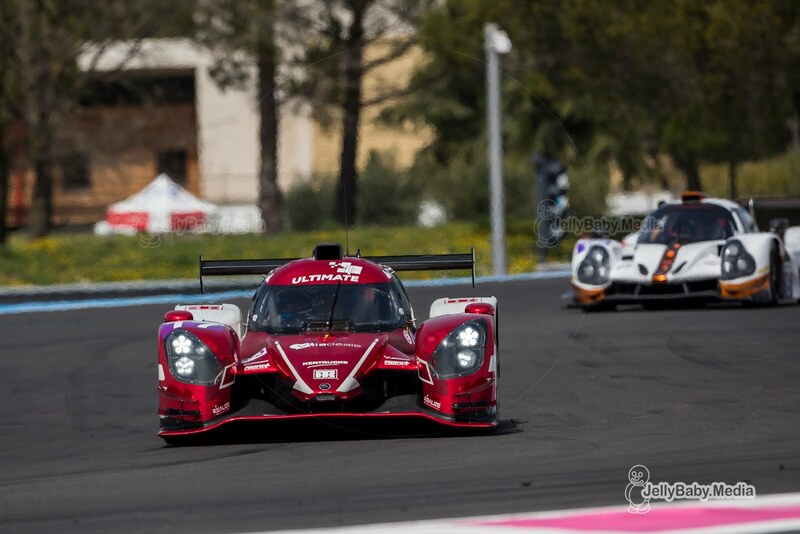 Dragonspeed heads toward the Le Mans testday with confidence and excitement. With the funding issues CEFC suffered from in Spa also likely to be resolved, it seems we'll see a full grid of LMP1 cars at Le Mans next week ! Since it's introduction in 2015, the LMP3 class has been a huge succes story with over 150 cars that have been built up to today. 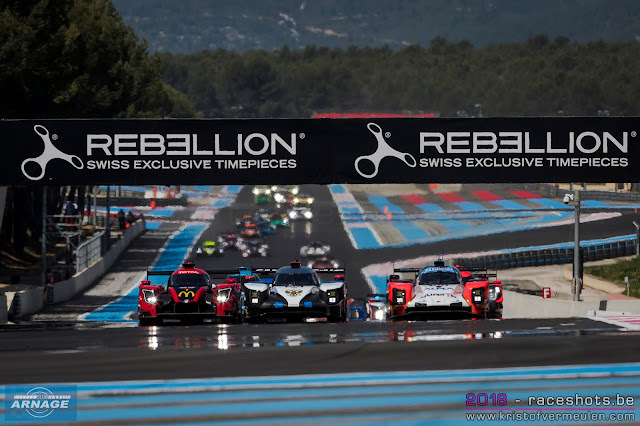 The goal of the LMP3 series waswas to facilitate access to the discipline with affordable cars and enable drivers and teams to progress to gain a footing on the endurance ladder. French talent Thomas Laurent is has excelled in this, moving from LMP3 in 2016 to LMP1 in 2018. 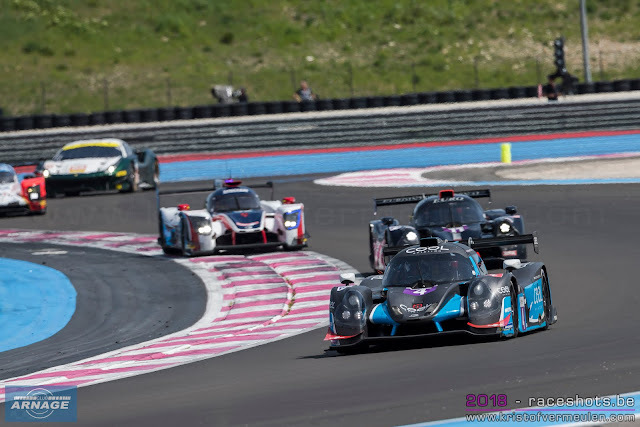 The main objective for the next generation of LMP3 cars remains the same; to act as a springboard to attain the pinnacle of the ACO Endurance pyramid. 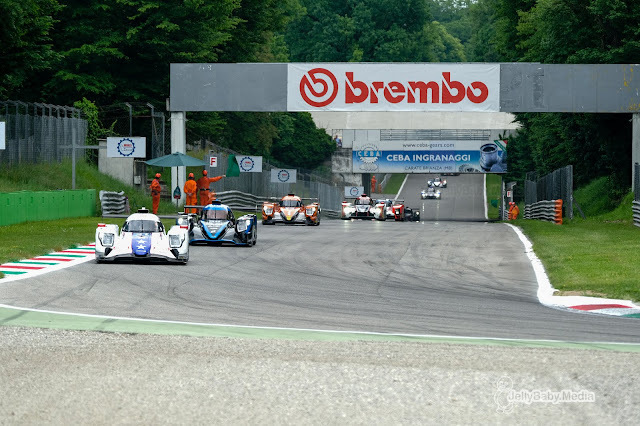 From the first 5 cars in the opening race of the 2015 European Le Mans Series, now LMP3 cars can be seen in a dozen different series, all over the globe. Among them are the European Le Mans Series, Asian Le Mans Series, Michelin Le Mans Cup, Road to Le Mans, LMP3 British Cup, V de V, lMSA Prototype Challenge, Gulf 12 Hours and the FRD LMP3 Series. When LMP3 was introduced back in 2015, a precise set of specifications were submitted to the candidate manufacturers. For the second generation from 2020 to 2024, selection has focused on cost control, driver-friendly operation, modernisation, guaranteed service to the teams and closer competitiveness between the various models. Four manufacturers have been chosen: Onroak Automotive - Ligier, Duqueine Automotive - Norma, Ginetta and Adess. The future LMP3s will be based on existing cars equipped with a kit chiefly designed to improve engine power and driver safety in the cockpit, while leaving room for some body modifications. The cost of a new car and the kit will be published shortly. The future of LMP3 begins today. The future of endurance too. Compared to the selected manufacturers for the first generation LMP3's, Ave/Riley and Dome aren't selected anymore. Ave/Riley only managed to get one car to race in the IMSA Prototype Challenge, the Dome never made it any further than the drawing board. For Ginetta it's a bit of a return to the series, as they stopped production ... after some hick-ups with Oreca in the past. 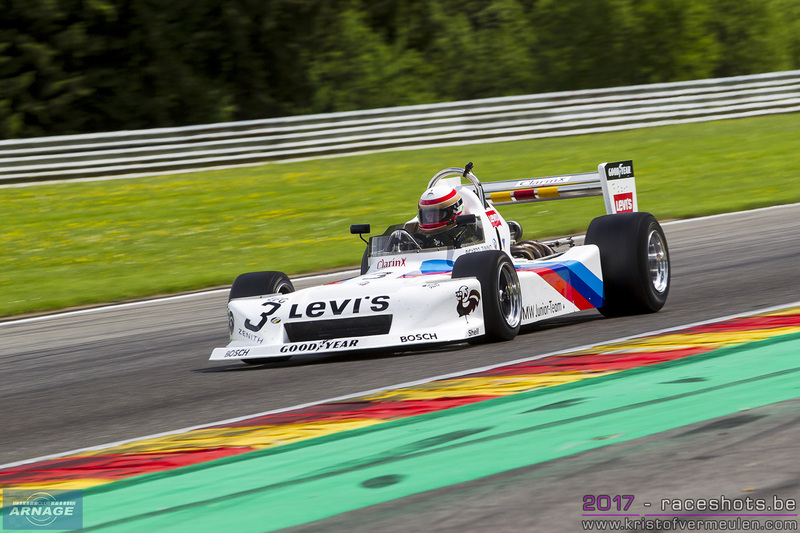 It's been tradition now for a few years that in the middle of May, Peter Auto strikes down at Spa-Francorchamps for the annual Spa-Classic weekend. 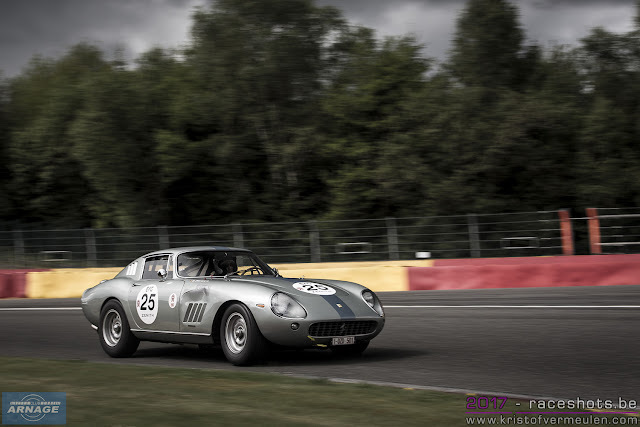 An event reviving the glorious legacy of racing at the Belgian track with a stunning amount of legendary racing cars returning to the iconic circuit. Spa-Francorchamps is one the last remaining real driver-tracks, shaped by its environment and surrounded by the stunning scenery of the Belgian Ardennes. A track with a rich history; back in the old days with the mythical Masta kink, outrageous speeds on public roads, the banking on the way to Stavelot (it's still there, waiting for you to drive over it) to the most known and feared corners in the world: Eau Rouge & Raidillon and the tantalizing high speed section of Blanchimont. 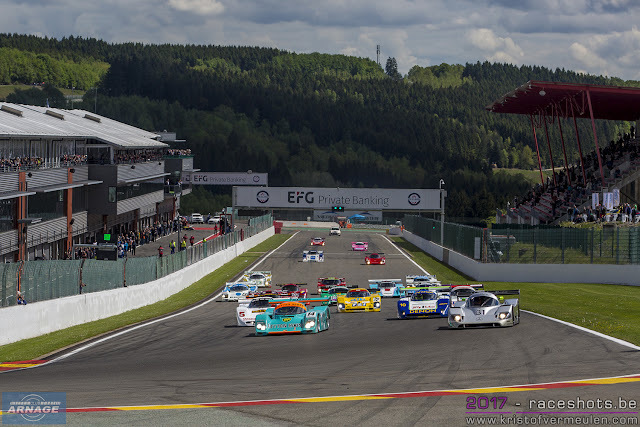 The Spa-Classic, created in 2011, has now grown to one of the major European events for historic cars, attracting some very impressive starting grids in 8 different classes over the weekend. It brings back some of the most legendary endurance GT cars and Prototypes that have raced over the track in its most glorious era's. With open paddocks all weekend, free grandstand acces, an exhibitor's village and several attractions, the Spa Classic is just another event not to miss for the real petrolhead. The weather forecast seems rather nice too, so no excuse not to drop by for a day or the weekend if you're near the Ardennes. In this preview we'll give you a rundown of all 8 grids who will race at Spa-Francorchamps this weekend; from the 2.0L Porsches over Classic Endurance Racing and the mighty Group C monsters. The biggest grid over the weekend will be the Classic Endurance Racing which is celebrates its 15th season. Since 2004 Classic Endurance Racing has been the retrospective of endurance races held between 1966 and 1981, an epoch when this branch of the sport topped the bill in world motor racing. It was the glorious era of the Ford GT40s, Porsche 910s and 917s, Ferraris 512Ss and Ms, BMW M1s, etc. driven by Jacky Ickx, Henri Pescarolo Gérard Larrousse and Derek Bell among others, whose playing fields were not limited to the legendary Le Mans 24 Hours. 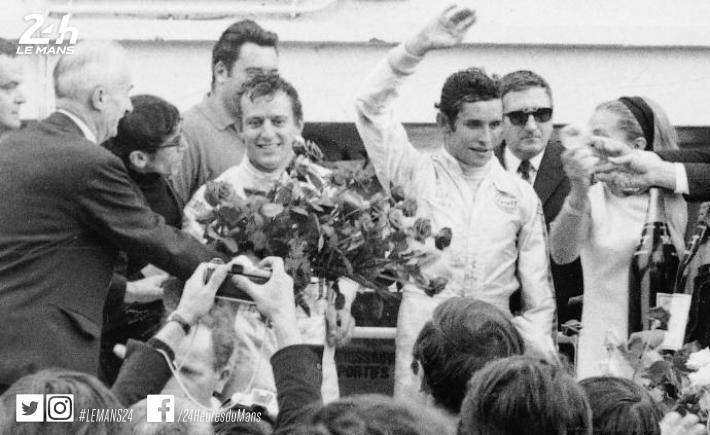 They also raced on the most famous European circuits in the context of the Sports Car World Championship. Classic Endurance Racing is much more than a simple historic commemoration. 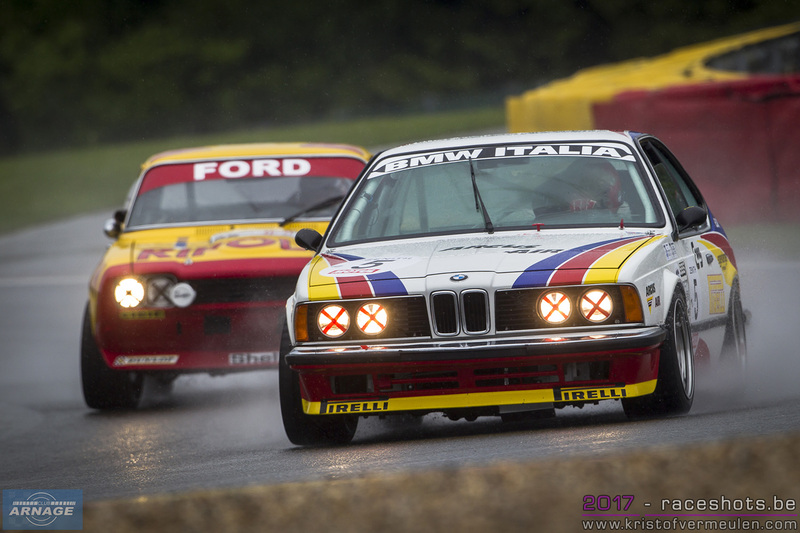 With grids of 50 cars and drivers determined to pay homage to the glorious past of their vehicles, the on-track spectacle is quite simply awesome! 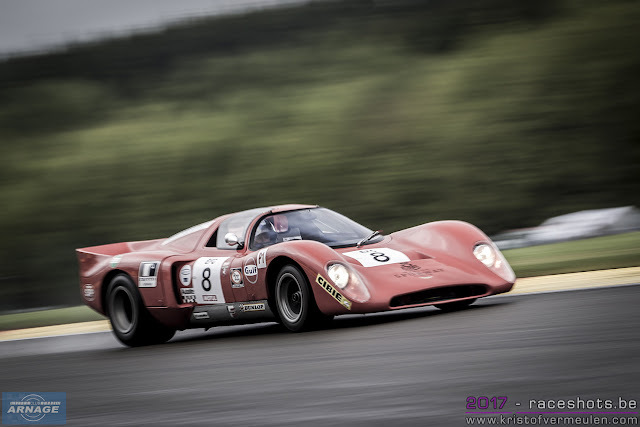 The field will be split into two: CER 1 for GT cars from 1966 to 1974 & prototypes from 1966/1971 and CER2 for GT cars from 1975 to 1981 and prototypes from 1972 ot 1981. Watch out for these cars in their night qualifying (Friday) and night races on Saturday. 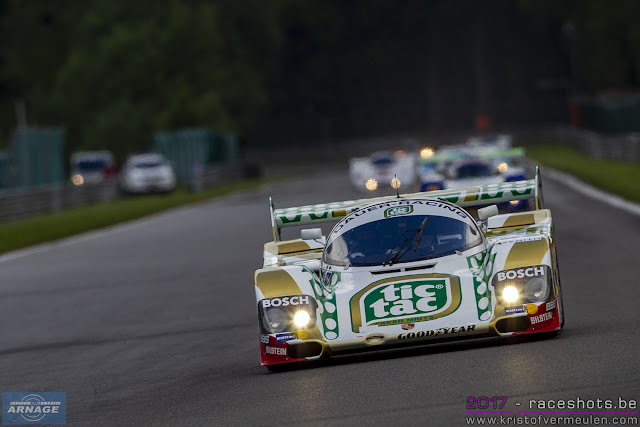 Group C Racing is probably the grid where most endurance fans are looking forward to again this year. 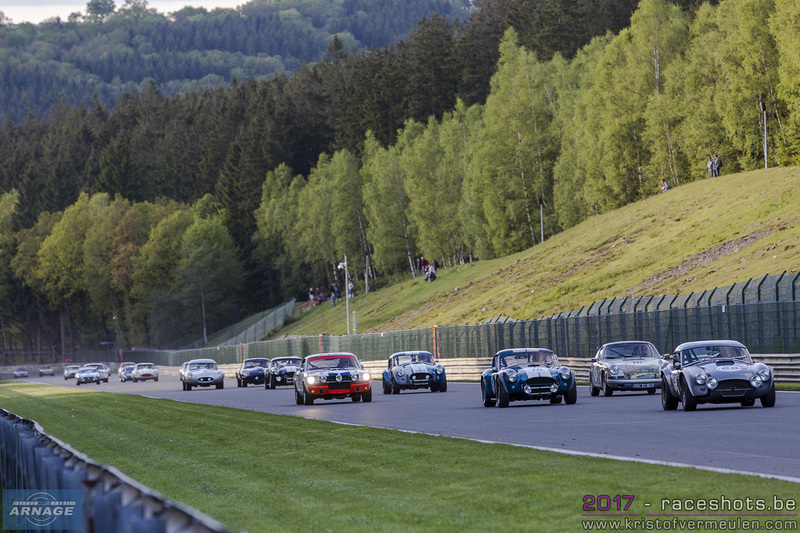 With a mouthwathering grid of 33 cars, this will be one of the highlights of this year's Spa-Classic. The Group C regulations in force between 1982 and 1993 led to the production of legendary cars that wrote some of the most glorious pages in the history of the Le Mans 24 Hours and the Sports Car World Endurance Championship. The Group Cs are still quite modern looking with their fighter pilot-like cockpits, doors in elytron and their huge rear wings, and they still exert an incredible fascination on all generations of fans with performances that still would be very competitive and top speeds way north of 300 km/h! 2 Peugeot 905, 5 Jaguars from the XJR 8 to the XJR14, Porsche's 956 and 962, they will all be thundering through the Ardennes again. Add a mix of Nissan, Spice, Tiga, March and other Group C machinery and we're sure this will be three great 45 minute sessions over the weekend. The Heritage Touring Cup has formed the backbone of the Spa-Classic endurance event since 2013. Since then the Heritage Touring Cup has gone from strength to strength among the owners and drivers of these saloons, which provided excitement in the one of the biggest era's of the European Touring Car Championship (ETCC) between 1966 and 1984. 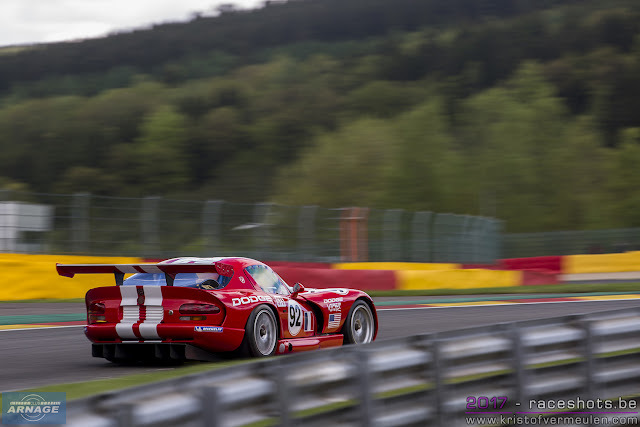 The pinnacle of the season was the Spa-Francorchamps 24 Hours that became the favourite playing field of the majority of the best-known manufacturers and drivers. The Heritage Touring Cup will be out 5 times on track this weekend, including a night practice and night race of 1 hour. 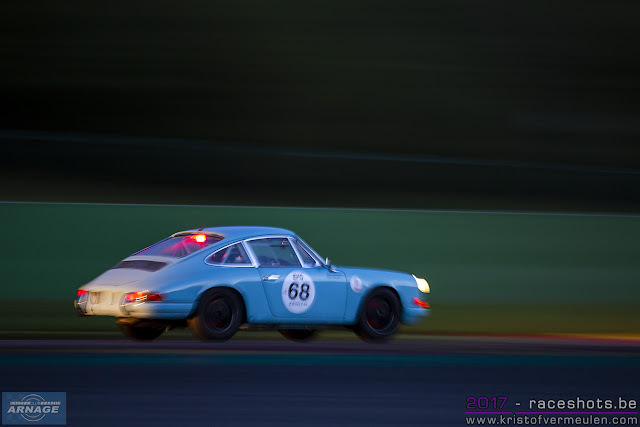 Sixties' Endurance racing is in it's ninth season in 2018 and has attracted a large following among spectators over the years thanks to its allencompassing quality field. Top pre-63 sports cars are joined with pre-66 GTs that used to race in the world endurance championship of the era. On track will be cars like the AC Cobra, Ferrari 250 GT, Lotus 15, Jaguar E-Type, etc. A very diversified grid gives will be out for a 2 1 hour races on Saturday night and Sunday afternoon. During these hour long races the pre-66 sports and GT cars revive the battles of that bygone era. A classification based on an Index of Performance which, in addition to the scratch classification, gives an advantage to the small capacity cars and the oldest warriors faced with their more powerful and more modern rivals like the very quick AC Cobras that have racked up victories on many circuits. The Formula 2 Challenge has been created by Peter Auto for the 2017 season and is open to Formula 2 cars that forged the reputation of the European Championship between 1967 and 1978. At the time F2 was considered as the key to the door of Formula 1, and over a decade it trained drivers who left their mark on the history of motor racing. Between 1967 and 1978 the champions were: Jacky Ickx, Jean-Pierre Beltoise, Johnny Servoz-Gavin, Clay Regazzoni, Ronnie Peterson, Mike Hailwood, Jean-Pierre Jarier, Patrick Depailler, Jacques Laffite, Jean-Pierre Jabouille, René Arnoux and Bruno Giacomelli. The grid at Spa will see several March chassis, Lotus, Chevron and Ralt. The Greatest Trophy, formerly known as the Trofeo Nastro Rosso is now open to more than just Italian built cars. By accepting beautiful models built by other famous makes like the Aston Martin DB4 GT, Mercedes-Benz 300 S and Porsche 550, the trophy is even more attractive. In 2018 it will be open to the exceptional cars that marked the major endurance events of the 50s and 60s. A grid full of some extremely rare and valuable cars applies rules based on sporting ethics and strict respect of the cars taking part in this championship to guarantee that risks are reduced to the absolute minimum. Respect and fair-play are now the key words for these gentlemen racers who are taking part in the new Greatest’s Trophy. After the creation of Euro F2 Classic in 2017 and the takeover of Group C Racing in 2016, Peter Auto is continuing to enlarge and develop its grid offer in historic racing by introducing The 2.0L Cup in 2018. This single-make grid will be reserved for 2-litre short chassis early Porsche 911s prepared in accordance with FIA pre-66 regulations. The 2.0L Cup has been created in association with Britons Lee Maxted-Page (Porsche Classic & Racing specialist) and James Turner (Director of the 2L Racing Group). It is expected to attract around 40 cars and the aim is to see the make’s former drivers at the wheel of some of these. There's one guest grid this year at Spa-Francorchamps: the Global Endurance Legends. Global Endurance Legends is a club for owners of GT and sports prototype racing cars of a type that raced during the 1990s and 2000s and organises events at leading historic meetings and iconic circuits. Expect some very exciting cars on track with a selection of the best and fastest GT's and Prototypes from the era. You can expect everything from and Aston Martin DBR 9, Mercedes CLK GTR, Porsche GT1, Lister Storm, Audi R8, Dallara SP1 to a Ferrari 333SP and a Pescarolo P60. Rumours are going round that a Bentley Speed 8 might be in Francorchamps this weekend ... that car alone is worth the trip ! Meeting up at Spa-Classic has become a habit for the clubs that are joined by owners of individual cars. This is an honour for the organisers among whose objectives is to bring together at one of the world’s iconic circuits all sports car lovers. After around 1200 cars at the previous event, this year’s aim is to attract even more collector cars. They will have seven 25-minute runs during the weekend to enable them to enjoy and take full advantage of the famous track. G-Drive Racing took victory last Sunday in the #26 Gibson powered Oreca 07 making it two weekends with two race wins after the 6 Hours of Spa-Francorchamps and three in a row for Jean-Eric Vergne who won the Formula-e race in Paris three weekends ago. 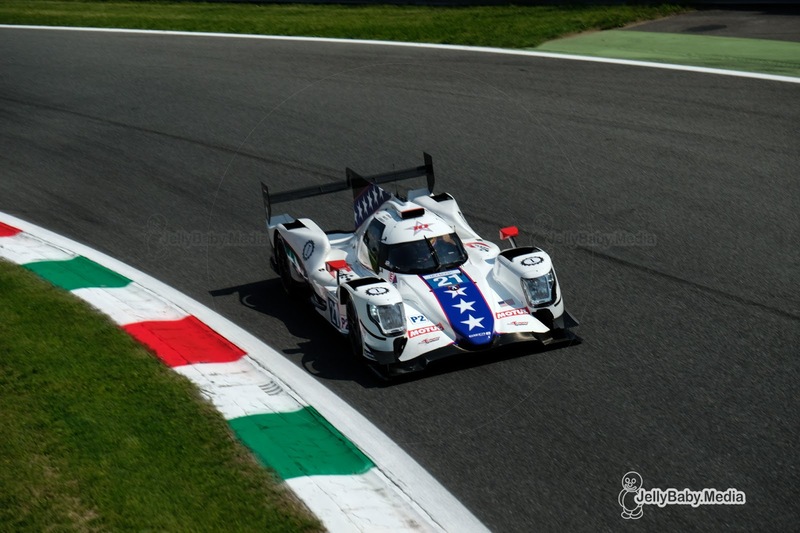 In an eventful race strewn with accidents and what was certainly questionable driving standards, the Russian backed car (which also won last weekend at Spa, the first round of the World Endurance Championship’s Super-Season) took today’s win at the European Le Mans Series 4 Hours of Monza. The #33 TDS Racing Oreca 07, which started the race at the back of the LMP2 pack after having Matthieu Vaxiviere’s qualifying times cancelled when tape found on the car in post-session scrutineering was deemed a technical infringement, took advantage of the multiple safety car periods to work back to the head of the pack and claim second place. French team IDEC Sport completed an Oreca 07 clean sweep of the podium with Paul Loup Chatin, Paul Lafargue, and Memo Rojas bringing the #28 car home for third place. The Safety Car was called into action four times along with various Full Course Yellow periods in what was certainly the most eventful of races. Somewhat unusually for Monza all of the pack made it through variante Retifillio unscathed, thanks no doubt to Race Director Eduardo Freitas mandating two warm-up laps to ensure that the cars brakes and tyres were up to temperature. However, soon after that, mayhem started. The #19 YMR Norma of David Droux was hit on the first lap causing a rear puncture and damage to the legality panel that would plague the car for the rest of the race. 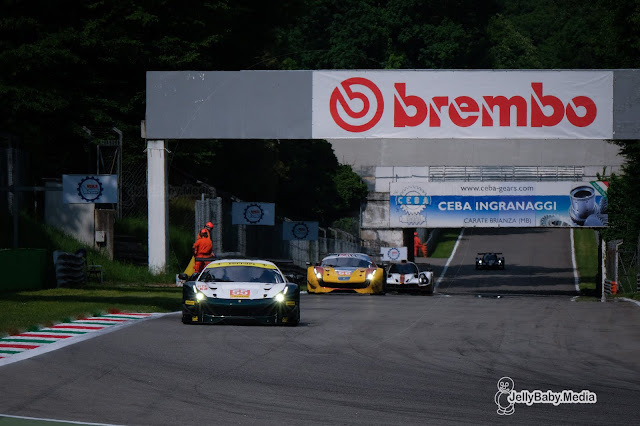 Soon after the #39 Graff Racing Oreca hit the tyre wall at Lesmo 2 so hard it nearly launched over the top bringing out the Safety Car whilst the barriers and tyres were repaired. Luckily Alexandre Cougnaud emerged from the wrecked car unscathed. With the barriers repaired and 3h 24 minutes to go the SC came in and green flag racing recommenced ….. for a while! 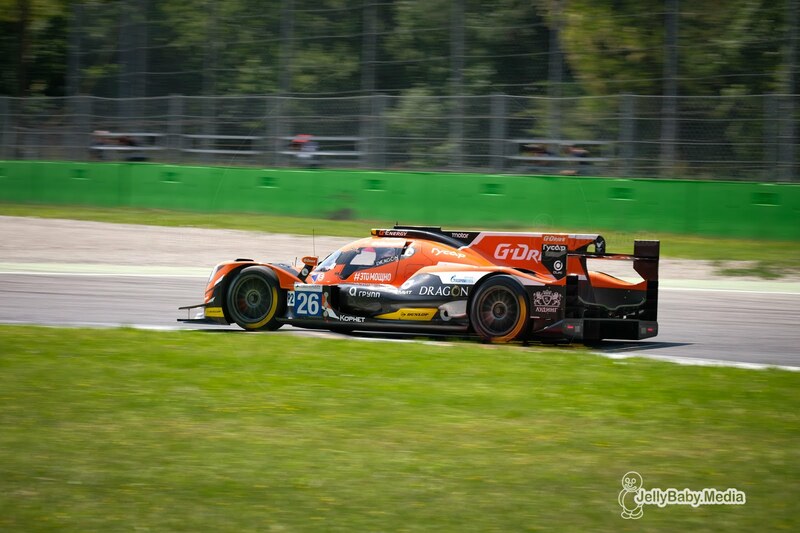 The battle for the lead was between the #26 G-Drive Racing Oreca and, showing certain pace following the ‘Joker’ updates this year, the two United Autosports Ligier JSP2s, #22 and #32 with the #49 High Class Racing Dallara snapping at the leading trio’s heels. 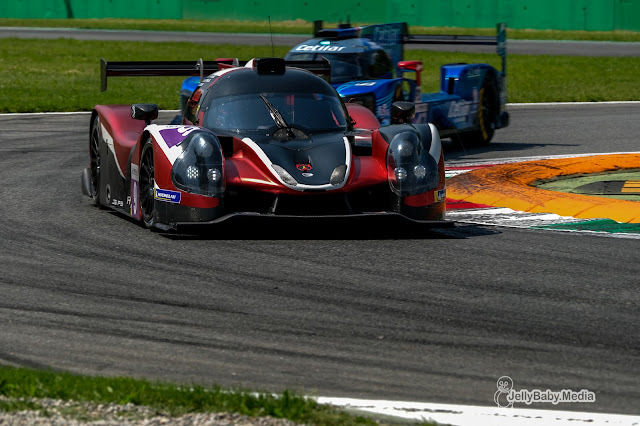 As this battle raged, Enzo Guibbert planted his #40 G-Drive backed Oreca firmly into tyre wall at entry of Ascari, ending the race for the TDS run car. As the SC was again deployed while the mess was cleared up we saw a bunch of cars dive into the pits including the #19 YMR Norma for it’s third visit, still suffering problems with the legality panel. With so many cars on the grid (43), there was eschewing chaos as cars jostled for position and mechanics pushed and manhandled them about to get the vehicles lined up to leave! While the chaos in the pits was underway, Christian Olsen somehow managed to smash his #7 ECURIE ECOSSE NIELSEN Ligier LMP3 into the barriers under the Safety Car causing extensive damage to the front; he did however continue to drive it, somewhat recklessly, back to the pits where the team managed to get a new front fitted and get the car back into the race, albeit some laps down. After the first hour’s ‘racing’ the #26 G-Drive had dropped back and the leading three cars were the #29 Duqueine Engineering Oreca followed by the Dallaras of AVF By Andrian Valles (#30) and the #47 of local team Cetilar Villorba Corse. As the race went back to green again there was contact between the #17 Ultimate and #20 Racing for Poland Ligiers. 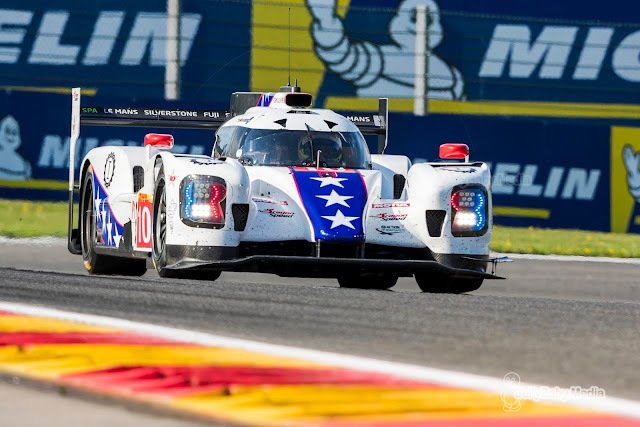 Mondini in the #11 Eurointernational was fighting hard with Sean Rayhall in the #2 United Autosports LMP3 for second position while Terrence Woodward held the lead position in the #6 360 Racing Ligier. Henrik Hedman in the #21 Dragonspeed Oreca earned himself a drive through penalty following an accident with the #18 YMR Ligier leding to its retirement and a thoroughly miserable weekend for the French team. Next ‘off the track’ was the #8 DKR Norma M30 which needed to be towed off to the pits to retire bringing out another FCY then SC while the #88 Proton Racing Porsche 911 RSR dived into the puts with damage following contact with the (freshly repaired) #20 Racing for Poland Ligier. By half distance Andrea Pizzitola’s G-Drive Oreca lead the DUQUEINE ENGINEERING car of Nelson Panciatici in LMP2, Sean Rayhall was leading the P3 class from Kay van Bierlo in the #11 Eurointernational and in GTE, Aaron Scott in the #55 Spirit of Race Ferrari was ahead of Marc Lieb in the #77 Porsche. The race continued until a big shunt at Lesmo 2 involving various P3 cars and the #66 JMW Ferrari brought out the fourth safety car of the race – due to some possible miscommunication, both of the United Autosports P2 Ligiers passed the safety car and then had to wait just before Parabolica to be collected, slotting in neatly behind the Jaguar Safety Car as it passed. One lap later, with 1h 38 to go the race again went green, however Harisson Newey jumped the restart in the #31 Algarve Pro Rebellion Racing car earning himself a penalty. Phil Hanson in the #22 United Autosports Ligier was putting up a great fight against Andrea Pizzitola in the #26 Oreca but eventually succumbed and handed the lead to the Italian two laps later. At the final scheduled round of pitstops, the #26 G-Drive Racing car retained its lead with Filipe Albuquerque still pushing hard in the #22 Ligier behind. Matthieu Vaxivière continued to work his way up from last to third position. With 45 minutes to go Albuquerque had to pit handing third to Vaxivière, Falb led Kay Van Berlo in the P3 class with Cameron leading GTE in the #55 Ferrari. The leading G-Drive car then dived into the pits for a splash and rejoined in third. As the chequered flag fell, Jean Eric Vergne brought home the G-Drive car just under 30 seconds ahead of Matthieu Vaxivière who’d battled his #33 TDS Racing Oreca all the way to the head of the pack. In the LMP3 category, the #11 Eurointernational Ligier JSP3 driven by Giorgio Mondini and Kay Van Berlo took first place after late race drama for the John Falb in the #2 United Autosports Ligier who saw a certain win vanish when a puncture forced the American for an extra pitstop with just eight minutes to go. The #6 360 Racing Ligier JSP3 driven by Terrence Woodward and Ross Kaiser came home second, some four seconds behind the leaders. A strong effort from the team as James Swift was excluded from the race. Martin Hippe in the #13 Inter Europol Ligier seemed to be on his way to the podium, but almost ran out of fuel in the penultimate lap and had to come in for a splash & dash. The final podium position in the LMP3 class went to the #3 United Autosports Ligier shared by Anthony Wells, Garret Grist and Matt Bell. In GTE the #55 Spirit of Race Ferrari 488 GTE of Matt Griffin, Duncan Cameron, and Aaron Scott took home the win after leading their class for a majority of the race. The #77 Proton Competition Porsche 911 RSR of Christian Ried, Marvin Dienst and Marc Lieb finished the race in second with the #80 Porsche of Ebimotors rounding out the GTE podium. 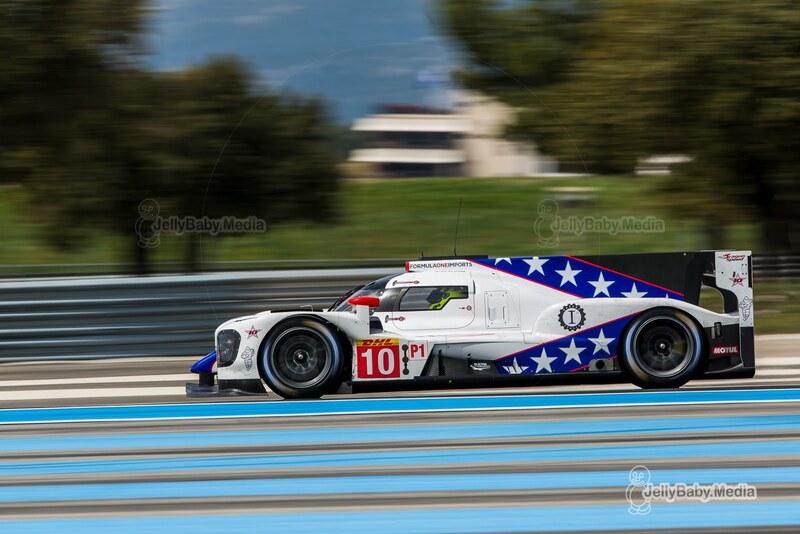 Jenson Button had his first test with the SMP Racing BR1 last week at the Magny Cours circuit in France. On his youtube channel, the Formula 1 world champion gives you an insight and some behind the scenes footage from his first day at the wheel in an LMP1 car. Check out the video below ! Just 30 days are left before the 86th 24 Hours of Le Mans. The Automobile Club has now announced the list of competitors requested to undergo the mandatory pre-race checks on 10 and 11 June. At this moment the Dragonspeed BR1 and both Ginetta's are on the entry list, fingers crossed those three cars will be on the grid next month ! The sixty teams who are invited for this years' 24 Hours of Le Mans are divided into four classes: 10 cars will run in LMP1, including 2 Hybrids, 20 in LMP2, 17 in LMGTE Pro and 13 in LMGTE Am. Authorisation to race is subject to these mandatory pre-race checks. Given the glittering line-up, this year’s race (16-17 June) promises to be more exciting than ever. Major manufacturers Toyota, Ferrari, Ford, Ferrari, Porsche, Aston Martin, BMW and Chevrolet will all be on the grid. 2 cars remain on the reserve car list at the moment: the #54 Spirit of Race Ferrari (GTE AM) of Duncan Cameron, Aaron Scott and Mario Cioci and the #49 High Class Racing Dallara (LMP2) of Anders Fjordback and Dennis Andersen. 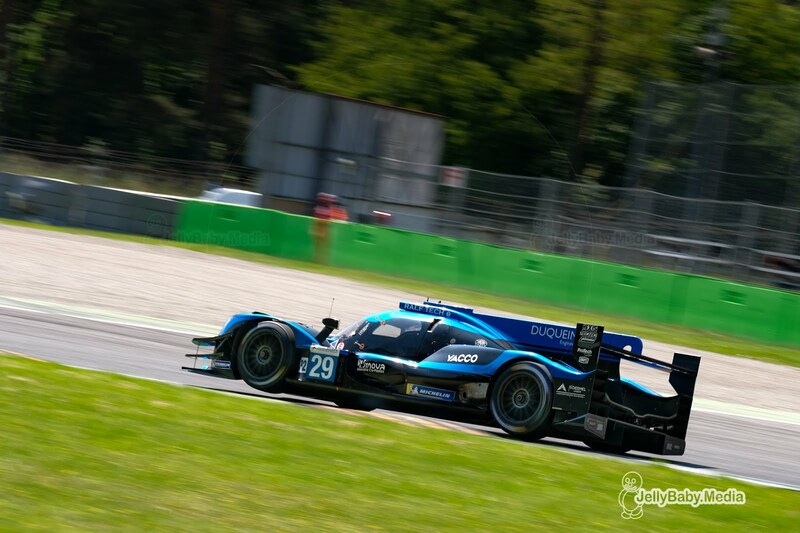 The Danish team moving up the list, as KCMG was supposed to be second reserve with an entry for the LMP2 class. As for the crews, the race clearly holds an attraction for Formula One drivers. Two-time world champion Fernando Alonso is contesting the entire World Endurance Championship this season. The Spaniard will not be the only Le Mans rookie from Formula One. He is joined by 2009 world champion Jenson Button, Spanish Grand Prix winner Pastor Maldonado and Juan Pablo Montoya, winner of seven Grand Prix and the Indy 500. Yet more of this year’s drivers have Formula One backgrounds, namely Jean-Eric Vergne, Felipe Nasr, André Lotterer, Kamui Kobayashi, Kazuki Nakajima, Sébastien Buemi, Vitaly Petrov, Stéphane Sarrazin, Paul di Resta, Jan Magnussen, Sébastien Bourdais, Giancarlo Fisichella, Olivier Beretta, Jan Lammers, Bruno Senna and Pedro Lamy. Le Mans also remains popular with the stars of American sportscar series. Ryan Briscoe and Indy 500 winners Tony Kanaan and Scott Dixon will be joining Sébastien Bourdais and Juan Pablo Montoya. Finally, a host of former Le Mans overall winners are back to try their luck again: André Lotterer, Neel Jani, Loïc Duval, Mike Rockenfeller, Marcel Fässler, Nick Tandy, Earl Bamber, Romain Dumas, Jan Lammers and Timo Bernhard. Also on the grid of this 86th edition are winners of the championships such as the WEC, the ELMS and the ALMS that make up the endurance pyramid devised by the ACO. 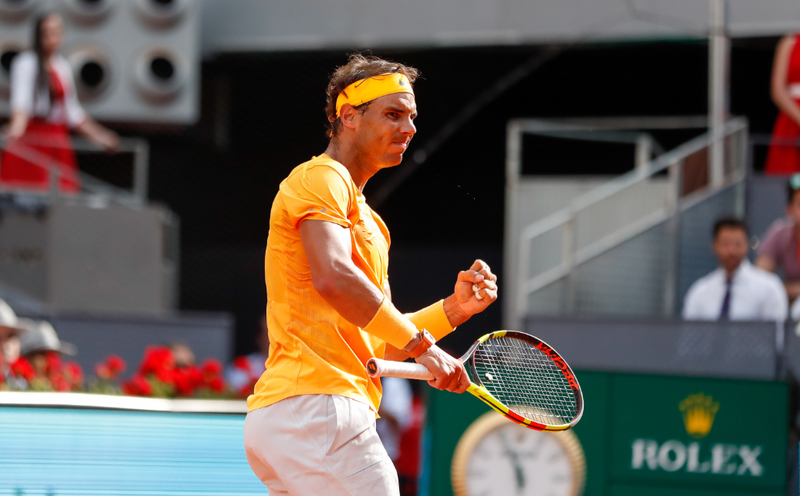 Spanish tennis champion Rafael Nadal is to be the race starter for the 86th 24 Hours of Le Mans on Saturday 16th June 2018. The phenomenal sportsman is a fitting ambassador for the iconic race. Nadal often visits France in June for the French Open at Roland-Garros in Paris, which he won for the tenth time last year. He will be back to defend his title on the clay courts of Paris, with the firm intention of adding another trophy to his cabinet. This year though, he’ll be staying a little longer. The exceptional tennis player’s career is about to pursue a new avenue, as official race starter of the 86th 24 Hours of Le Mans. At 3 p.m. on Saturday 16 June, the Spanish champion will have the distinguished honour of sending off the field of sixty participants in the world’s greatest endurance race. Preceded by Giovanni Agnelli, Alain Delon, Jacky Ickx, Raymond Poulidor, Albert de Monaco, Jean-Martin Folz, Luca di Montezemolo, Jean Todt, Luc Besson, Don Panoz, Bill Ford, Brad Pitt, and Chase Carey to name but a few, as starter of the 24 Hours of Le Mans, Rafael Nadal will be fulfilling a highly symbolic yet critical role. Le Mans holds a special attraction for Spain this year. Among the drivers on the grid of the 24-hour classic is another famous Spanish sportsman, Fernando Alonso. Race starter in 2014, the two-time world Formula One champion is back as a competitor. A few hours after the end of the qualifying sessions for the 4 Hours of Monza tomorrow, several decisions of the race stewards have seriously affected the grid for tomorrow's race. 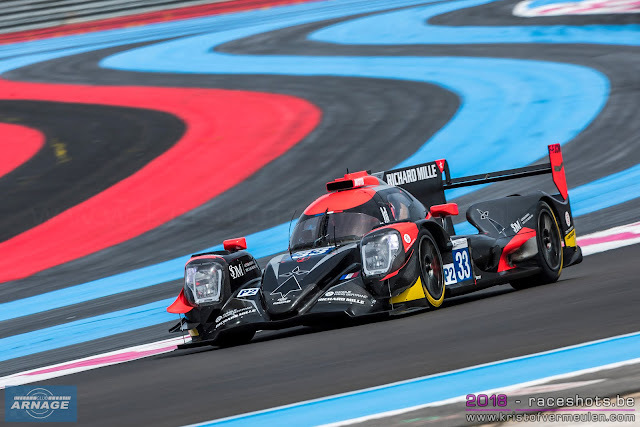 TDS Racing who were fastest in LMP2 with Matthieu Vaxiviere at the wheel have lost their pole position for tomorrow's race due to the car not being in compliance to the technical regulations. This means the #21 Dragonspeed Oreca of Ben Hanley, Henrik Hedman and Nicolas Lapierre inherits pole position. Apparently there was tape on the bodywork which is not allowed. All qualifying times of the car have been cancelled. The #33 will start the race from the back of the LMP2 grid. The #31 APR - Rebellion which qualified third also saw its qualifying times cancelled due to the height of the front splitter not in compliance with the technical regulation. This car will also start from the back of the LMP2 grid tomorrow. Same story for the #9 AT Racing Ligier in LMP3, that also saw his qualifying times cancelled due to the height of the front splitter. They will have to start from the back of the grid tomorrow. Mikkel Jensen qualified on third place, which now will be taken by the #2 United Autosports of John Falb and Sean Rayhall. 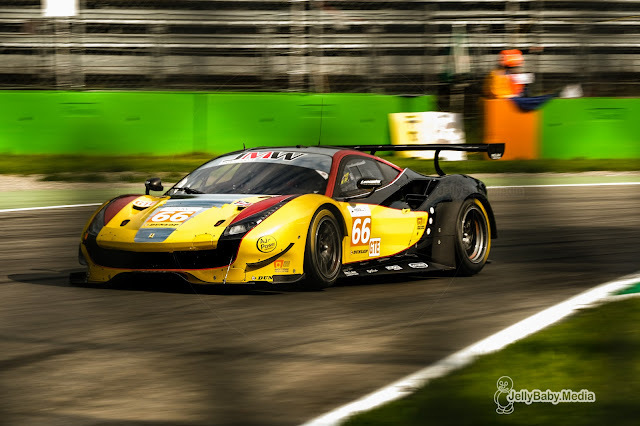 James Swift in the #6 360 RACING Ligier JS P3 has been denied to start the race tomorrow. Swift didn't comply with the minimum of qualifying laptimes (110% of the best time set by the fastest time in the group). Terrence Woodward and Ross Kaiser will have to complete the race with the two of them and Kaiser has to be the starting driver. It's not all bad news that came from the stewards: the #66 JMW Ferrari have been given permission to race tomorrow, despite not taking part in qualifying. After an incident filled qualifying session which saw 2 red flags, Matthieu Vaxiviere scored pole position for TDS Racing this afternoon in a warm and sunny Monza. With a time of 1.35.456, the Frenchman was almost 0.4 seconds faster than the competition, scoring his first pole position in the European Le Mans Series. Vaxiviere did his flying lap right before the session was red flagged with just under 3 minutes to go. The other car starting from the front row is the #21 Dragonspeed Oreca of Ben Hanley, who set a time of 1.35.837. Gustavo Menezes was really quick in the #31 APR - Rebellion Racing Oreca, taking third spot on the grid in 1.36.034. Nelson Panciatici in the #29 Duqueine Engineering Oreca will also start from the second row after setting the fourth fastest time. Jean-Eric Vergne completed an Oreca top 5 in the #26 G-Drive Racing which has been fast all weekend so far. The quickest non Oreca chassis was the #32 United Autosports Ligier of Filipe Albuquerque. Olivier Pla in the #24 Racing Engineering which won the race at Le Castellet had a spin coming out of the first chicane and wasn't able to have a clear lap during qualifying. They will start from 12th position tomorrow. The session was red flagged again in the dying seconds, when Ate De Jong parked his #25 Algarve Pro Racing Ligier in the barriers at Parabolica. De Jong walked away from the incident, but there will be a lot of work on the car to get it on the grid by tomorrow. The 10 minute LMP3 qualifying was very tight, with several cars fighting for pole position right until the end of the session. Mathieu Lahaye was fastest in the end, scoring the first pole position for Ultimate in the #17 Norma M30. His laptime of 1.45.386 was 0.224 seconds faster than David Droux in the #19 M.Racing-YMR Norma who will start from second again tomorrow. Behind Droux, it was almost too close to call for the remaining cars in the top 5. 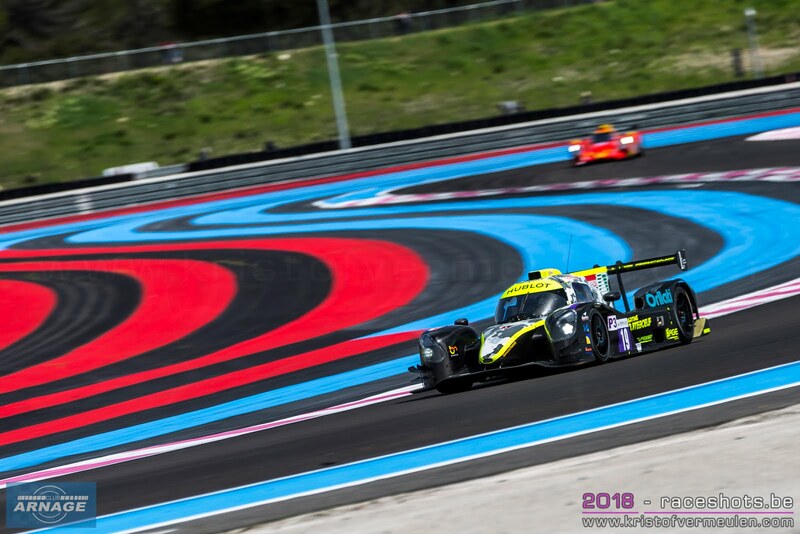 Mikkel Jensen in the #9 AT Racing ligier came just 0.005 seconds short for second place and was chased closely by defending LMP3 champion John Falb who was just 0.062 seconds slower. Rounding out the top 5 was Job Van Uitert in the #15 RLR M Sport Ligier that won the race in Le Castellet. Nine cars finished within one second in qualifying, LMP3 will be a close and very entertaining race tomorrow. IN LMGTE, home team Ebimotors scored their first pole position in the European Le Mans Series with their #80 Porsche 911 RSR. Ricardo Pera was the fastest man on track, beating Porsche works driver Gianmaria Bruni with just 0.018 seconds. Pera took pole position in an impressive 1.47.493. Third spot on the grid tomorrow is for the #55 Spirit of Race Ferrari of Matt Griffin, just 0.081 seconds slower than Bruni. Andrea Bertolini in the #83 Krohn Racing Ferrari and Marc Lieb in the #77 Proton Porsche completed the top 5. The JMW Ferrari didn't come out for qualifying, still under repair after its crash this morning. Dragonspeed and G-Drive continue to dominate the LMP2 class, this time it's the #26 G-Drive Racing Oreca of Jean-Eric Vergne who went quickest in this morning's free practice session. With a laptime of 1.35.943 the Frenchman was 0.148 seconds faster than Ben Hanley in the #21 Dragonspeed Oreca. 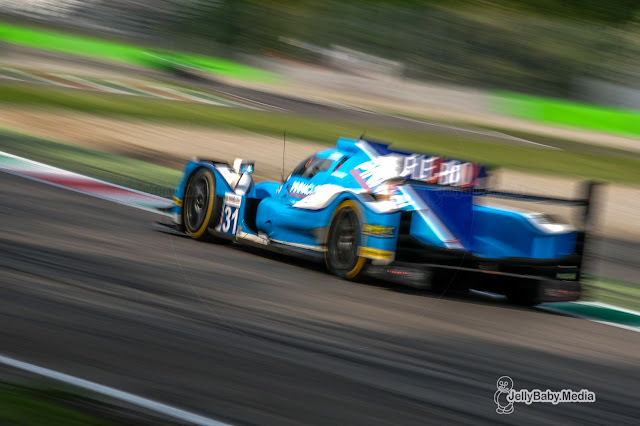 Matthieu Vaxiviere in the #33 TDS Racing Oreca went third fastest in 1.36.276. Behind those three, 5 cars set a laptime within 0.2 seconds, the first eight cars finishing the session within one second. Oreca jeeps on dominating the class, taking up the first 7 spots in the session. The quickest non-Oreca was the #32 United Autosports Ligier of Will Owen, Hugo de Saedeleer and Wayne Boyd in 1.37.347, over a second behind the leading Oreca. Norma on top again in the LMP3 class although it wasn't a clean sweep as yesterday during the first practice session. David Droux in the #19 M.Racing YMR set the fastest time in 1.53.618. 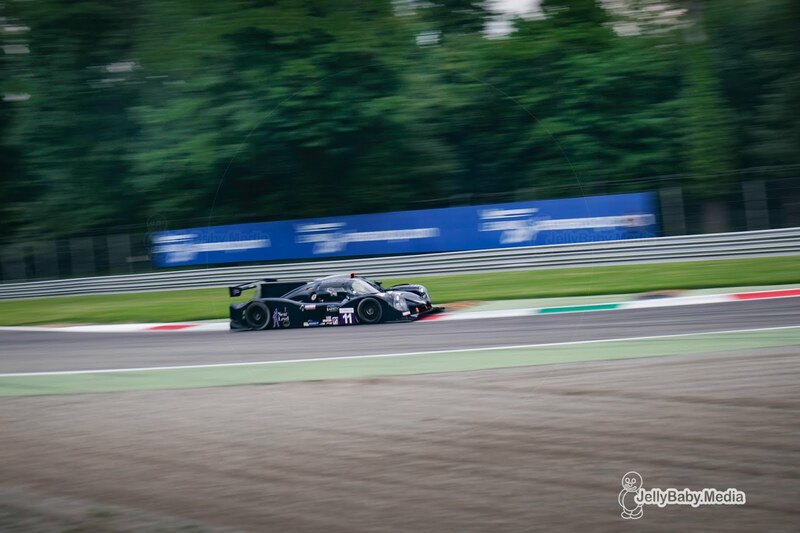 Mikkel Jensen is back in the #9 AT Racing Ligier in Monza and squeezed himself inbetween the Norma's of M.Racing-YMR and Ultimate, setting the second fastest time 0.188 seconds behind Droux in the #19. Third quickest was Jean-Baptiste Lahaye in the #17 Ultimate in 1.46.874. Rounding out the top 5 were the #4 Cool Racing Ligier and the #10 Oregon Team Norma which set the fastest time on Friday. The #15 RLR M Sport Ligier of John Farano, Job Van Uitert and Robert Garofall didn't make it out of its pitbox this morning. The session was interrupted by a red flag when Liam Griffin in the #66 JMW Ferrari went off and hit the barriers at turn 4. The car was brought back into the pitlane with damage to the front. 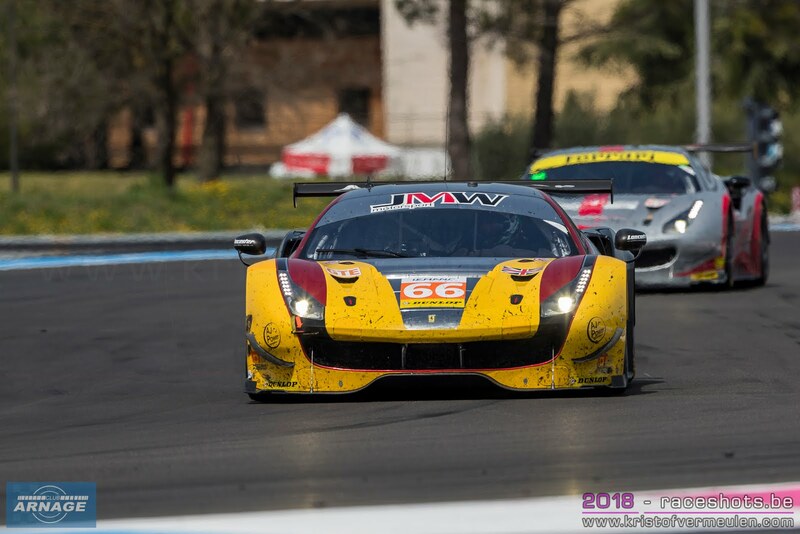 Matt Griffin set the pace in the LMGTE class in is #55 Spirit of Race Ferrari, mixing well inbetween the LMP3 cars in a fastest time of 1.48.022. Gimmi Bruni in the #88 Proton Competition set the second quickest time of the session in 1.48.229. Before Griffin's crash, Miguel Molina still ste the third time for the #66 JMW Ferrari, just over half a second slower than Griffin. The 4 Hours of Monza will start tomorrow at 12h30 local time (11h30 UK time). The race will be live streamed on the ELMS website and their youtube channel. 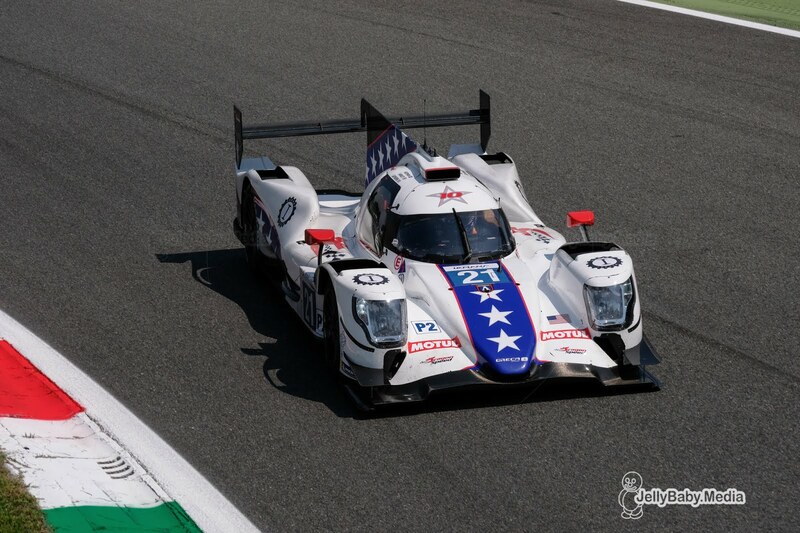 Jenson Button has completed his first test with SMP Racing and the BR1 at Magny Cours in preparation for his debut in the FIA World Endurance Championship and the 24 Hours of Le Mans. The British driver's first impressions after his first stints, totalling five hours, at the wheel of the BR Engineering prototype are very positive. “I must say that the BR1 is very impressive,” said Jenson Button. “I did not expect to find so much grip in this car. Its traction and downforce is excellent in slow turns in very impressive in high speed corners, despite being a big car. I absolutely loved it, nice for my first test to be around Magny Cours as it’s one of my favourite circuits and I have a lot of great memories from racing there. It felt very much like old skool F1 from when we raced there back in ‘05/‘06". Button did a solid five hours of testing and felt already comfortable behind the wheel of the beast! "We still have some areas where improvement is needed but it's a good starting point. We are preparing for Le Mans, on a track where a fast car is needed. I am very satisfied with the hours of testing today, and my progress at the wheel of the machine. The first day with SMP Racing and the BR1 was very positive. I am very happy! There is a lot to think about and give to the team before the tests in June. “ On his Instagram account Button said he was "smiling from ear to ear". SMP Racing has entered two AER porwered BR1 prototypes in the FIA ​​World Endurance Championship, including the 24 Hours of Le Mans. The # 17 is currently being rebuilt after the car, in the hands of Matevos Isaakyan, took off at Raidillon exiting Eau Rouge at Spa last weekend. On track action kicked off at the Autodromo Internazionale Monza today for the second race in the 2018 European Le Mans Series. Despite the rainy weather forecast that was published in the past days, the sun came out over the track with temperatures up to 26 degrees. A welcome change compared to the conditions at Le Castellet for the prologue and first race last month. Just one noteable incident in today's 90 minute session when the #25 Algarve Pro Racing ligier got stuck into the gravel trap at the outside of the second Lesmo. During a short full course yellow, the car was towed out and able to continue its way. 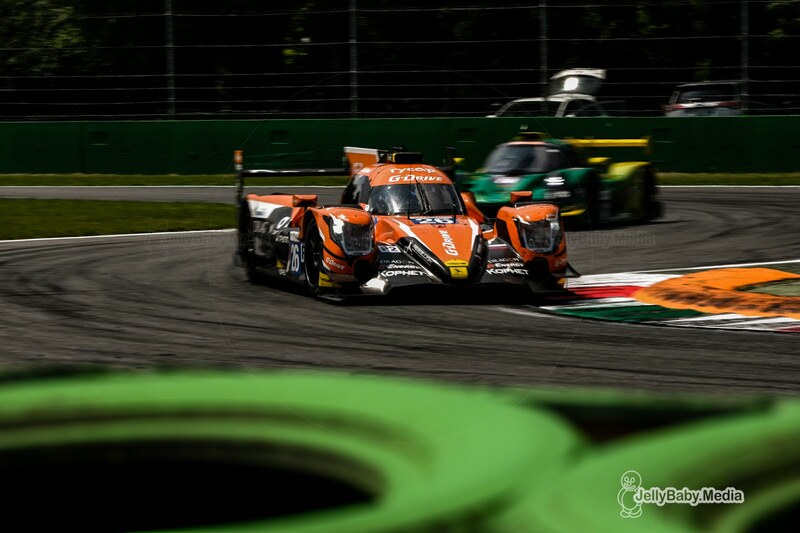 Ben Hanley in the #21 Dragonspeed Oreca set the fastest time in the first free practice session for the 4 Hours of Monza. 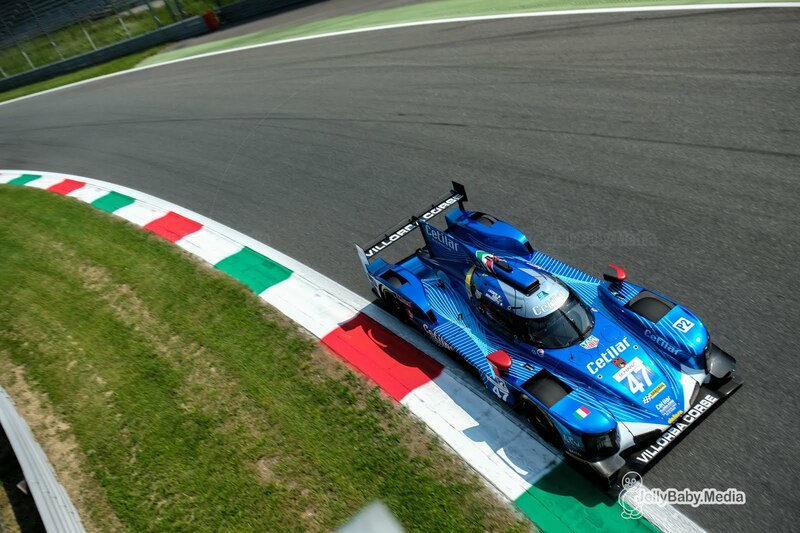 Hanley's quickest lap of 1.36.284 round the 5,793 km Italian track was 0.695 seconds faster than Roman Rusinov in his #26 G-Drive Racing Oreca07. Third fastest and first non-Oreca chassis was the #49 Dallara of High Class Racing with Anders Fjordbach at the wheel for a lap of 1.37.275, just under a second behind Hanley. Le Castellet winners Racing Engineering were fourth fastest with Olivier Pla in 1.37.404. 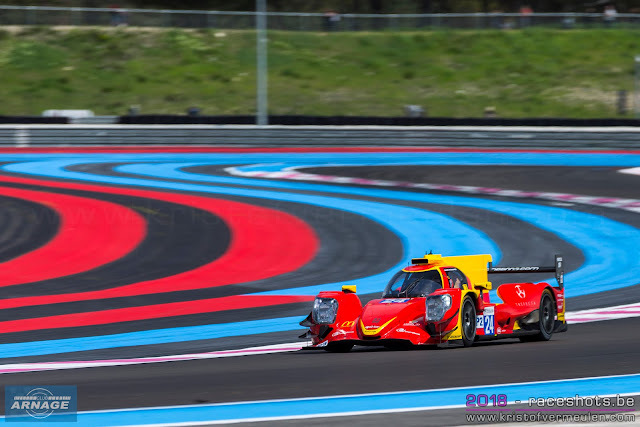 Felipe Nasr in the #49 Cetilar Villorba Corse Dallara debuted in the European Le Mans Series with the fifth time this morning, just in front of the first Ligier of Timothé Buret in the #23 Panis-Barthez Competition. In LMP3, the Norma's of Oregon Team, M.Racing-YMR and Ultimate outpaced the Ligiers in today's free practice sessions. 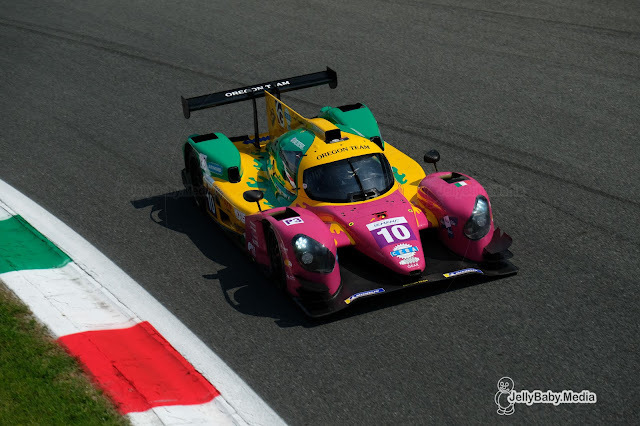 Riccardo Ponzio in the colourful #10 Oregon Team Norma M30 was quickest overall with a laptime of 1.46.136. David Droux in the #19 M.Racing-YMR Norma followed close, just 0.107 seconds behind in last year's winning car. Third fastest was Matthieu Lahaye in the #17 Ultimate Norma. Quickest of the Ligiers was last years ELMS champion SeaN Rayhall in the #2 United Autosports, just over half a second slower than Ponzio. Proton Competition was quickest in the LMGTE class, with Gimmi Bruni in the #88 Porsche 911 RSR. Bruni set a time of 1.48.457, just under half a second quicker than Andrea Bertolini in the #83 Krohn Racing Ferrari F488 GTE. Miguel Molina continued on his good form from Le Castellet last month to set the third fastest time in 1.49.026. 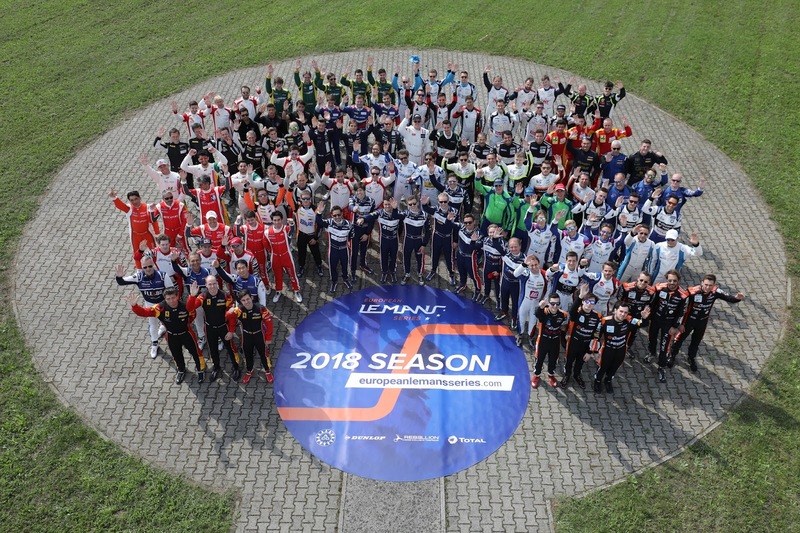 Earlier this morning, all 121 drivers competing in the 4 Hours of Monza gathered for the annual family picture. This should have been taken last month in Le Castellet but the rain forced to cancel the photoshoot back then. Luckily the weather gods were in a good mood this morning, bathing the track in sunshine instead of the predicted rainshowers. 30 cars came out for the traditional Bronze driver test this afternoon. Henrik Hedman set the #21 Dragonspeed back on top of the timetable with a laptime of 1.39.321. Roberto Lacorte in the #47 Cetilar Villorba Corse Dallara went second fastest, just over half a second behind Hedman. François Perrodo put the #33 TDS Racing Oreca on third place. In LMP3 it was Alexey Chuklin in tyhe #5 NEFIS by Speed Factory Ligier who went fastest in 1.47.525. Kay Van Berlo in the #11 Eurointerntaional Ligier came in second, with Anthony Wells in the #3 United Autosports behind him. 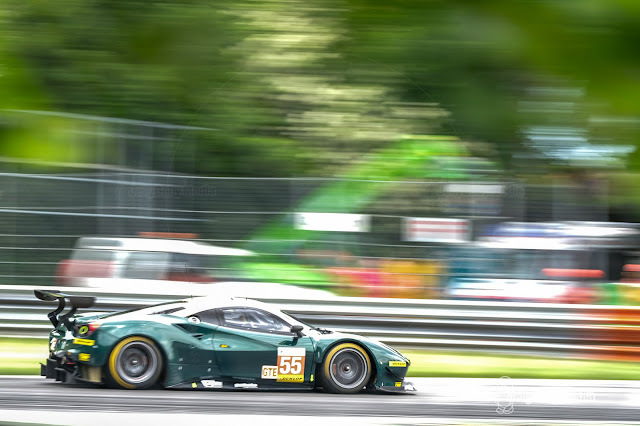 Duncan Cameron in the #55 Spirit of Race Ferrari F488 GTE was a fraction of a second (0.059) faster than Gianluca Roda in the LMGTE class, with a laptime of 1.49.824. Raymond Narac in the #80 Ebimotors completed the top 3 in class. The second free practice session is scheduled for 9h15 tomorrow morning. Practice starts tomorrow afternoon at 13h50. 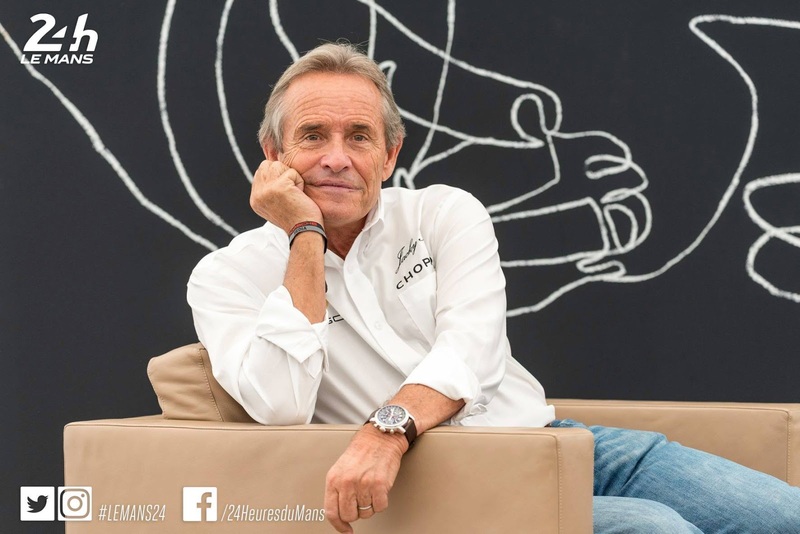 Five weeks ahead of this year's 24 Hours of Le Mans, the ACO has announced that "Monsieur Le Mans", Jacky Ickx will the grand marshall for this year's race. With six wins to his name (1969, 1975, 1976, 1977, 1981 and 1982), Ickx has written a whole chapter of Le Mans history, his extraordinary success only rivalled by that of nine-time winner Tom Kristensen. As Grand Marshal, the Belgian champion, famed in Formula One, endurance and rallying will have the honour of driving the car that leads the magnificent field for the formation lap of the 24 Hours of Le Mans on Saturday afternoon. Ickx first win at Le Mans was in a Ford GT40 he shared with Jackie Oliver in 1969. After winning Le Mans for the second time in 1975 in a Mirage GR8 together with Derek Bell, the Belgian moved to Porsche, scoring four more wins. In 1976, 1977 and 1981 he won the legendary race with a Porsche 936, his final win in 1982 was with the Porsche 956. Together with Derek Bell, Ickx won three out of his six Le Mans races (1975, 1981 and 1982). Jacky Ickx, Grand Marshal of the 2018 24 Hours of Le Mans: “I’m delighted to be able to take part in the event. Le Mans has always been kind to me. I’ve had many good times here, as a driver. I’ve also been race director and have been race starter too. This year, I shall be Grand Marshal. This race has always held something special to me, as a driver and as a person. It brings out the fundamental elements of driving. It’s about sharing, daring, focusing, friendship and fans. It’s intense and it’s extraordinary. I can see myself already, at the wheel, behind me a field of heroic drivers, amateurs and professionals. The European Le Mans Series returns to the "Temple of speed" this weekend for the second race of the 2018 season. 43 cars are on the entry list for the 4 Hours of Monza, ready for another exciting and action filled weekend on one of Europe's finest racetracks. Another well filled grid in the LMP2 class, with 18 cars going through scrutineering in Monza today. In the #22 United Autosports Ligier, Filipe Albuquerque takes back his seat from Bruno Senna, after missing out the race at Paul Ricard due to a clash with the IMSA championship. Another "new" face in the paddock this weekend is Felipe Nasr in the #47 Cetilar Villorba Corse. Nasr replaces Andrea Belicchi for the remainder of the season and Le Mans who had no choice than to take a step downdue to back problems at and after Le Castellet. Two teams arrived in Monza straight from the WEC race at Spa last weekend: G-Drive Racing and TDS Racing. G-Drive won its class in Belgium with their Oreca 07 driven by Roman Rusinov, Jean-Eric Vergne and Andrea Pizzitola. TDS Racing added the 4 hours of Monza to its WEC schedule, the team's Oreca 07 racing again under #33 in the ELMS, with the same driver line-up: Matthieu Vaxiviere, François Perrodo and Loïc Duval. 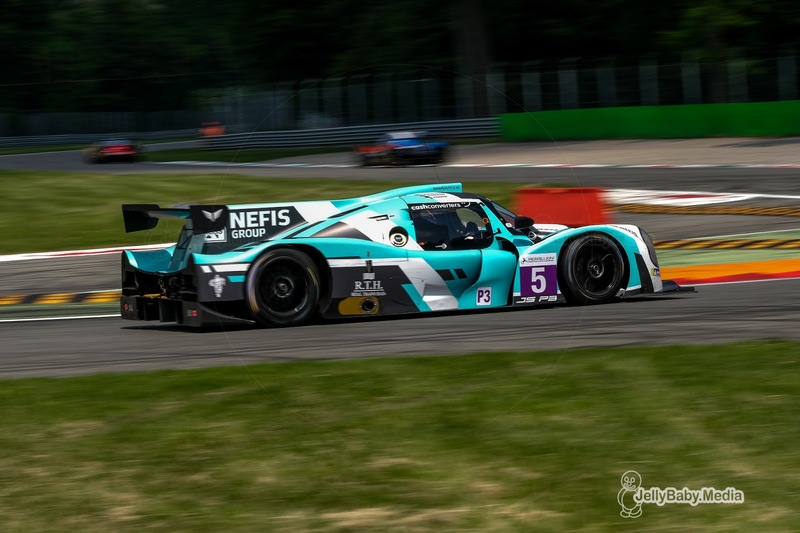 Racing Engineering won their first ever race in the ELMS last month. 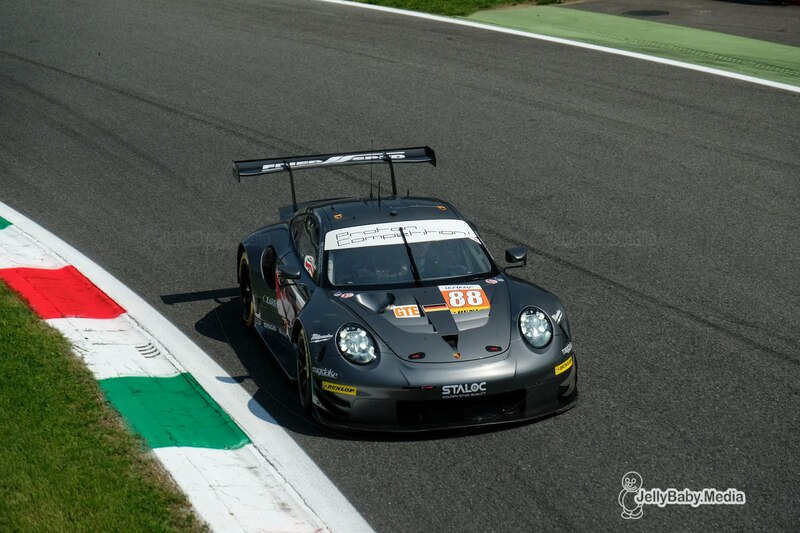 Norman Nato, Olivier Pla and Paul Petit arrived in Monza with the goal of doing it all over again this weekend after a flawless weekend in the south of France. 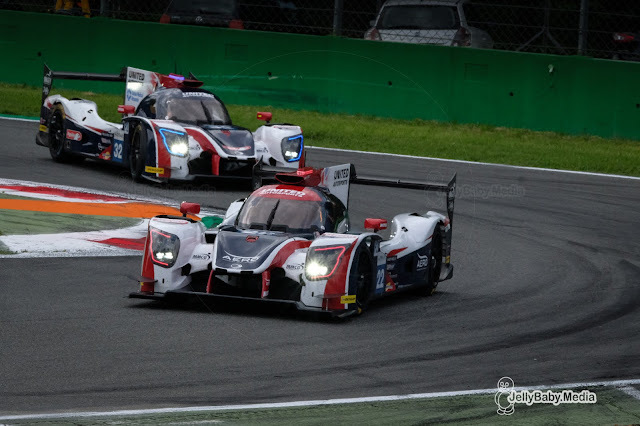 Dragonspeed (DNF) and United Autosports (9th and 12th) will be out for a strong finish at Monza this weekend, making sure they'll still have a shot at the championship when they leave Italy Sunday evening. 19 cars will be on the grid in the LMP3 class, one more than the opening race in La Castellet last month. The #20 Racing for Poland Ligier JSP3 joins the championship for this race. The car will be driven by Henning Enqvist, Tomasz Blicharski and Alex Fontana. 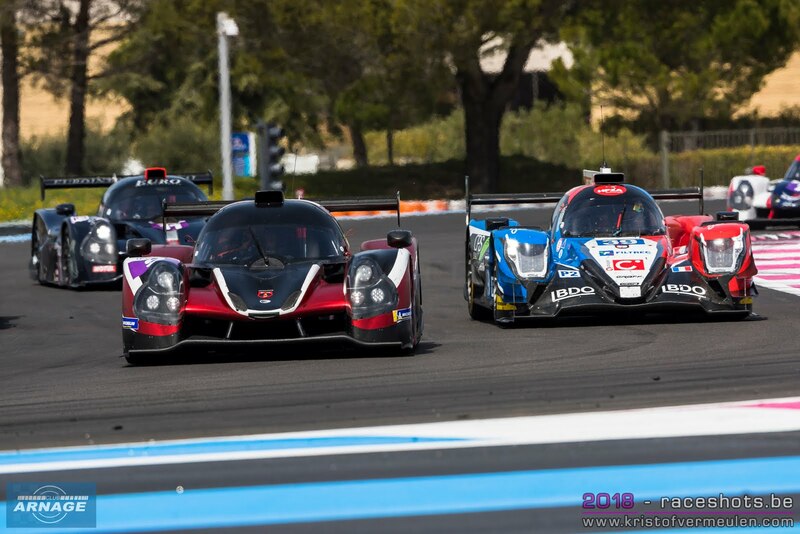 Job Van Uitert won the 4 hours of Le Castellet in the #15 RLR M-Sport Ligier with John Farano and Rob Garofall, they will face some fierce competition again from M.Racing YMR which won here last season in their #19 Norma M30. Nicolas Ferrer, David Droux and Lucas Légéret qualified on pole in Le Castellet and finished second. Monza is a high speed track that suits the Norma very well, the #19 should well be in the mix for the win this weekend. 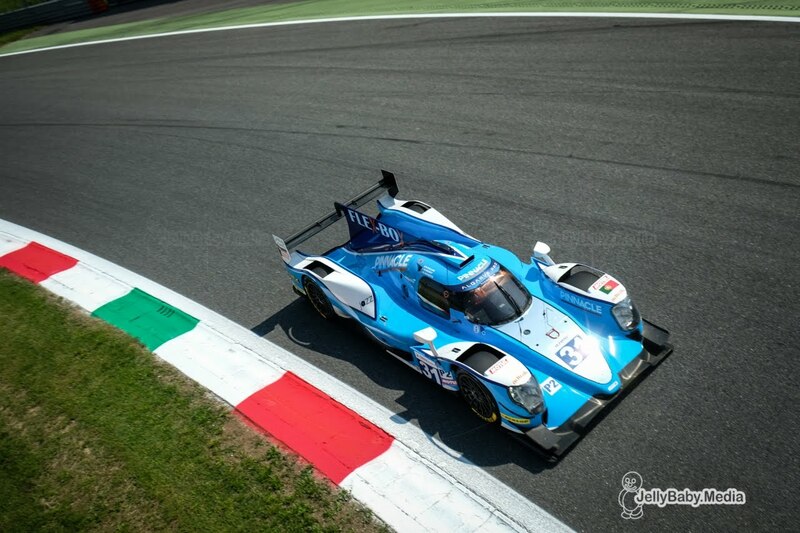 There's six Italian drivers in the class, Giorgio Mondini in the #11 Eurointernational Ligier probably has the best shot for a podium place again, together with another young Dutchman: Kay Van Berlo. A few more driver changes to be noted: Mikkel Jensen returns to his seat in the #9 AT Racing, replacing Yann Clairey; Mark Kvamme takes the place of James Dayson in the #12 Eurointernational and Hendrik Still in the #14 Inter Europol Competition replaces Henning Enqvist (who moved to the #20). In LMGTE it's back to the six full season entries, equally split up between 3 Ferrari's and 3 Porsches. JMW Motorsport won in Monza last year, in which was the final race of their 458 Italia before switching to the new 488 in Le Mans. After their win at Paul Ricard, Miguel Molina & co will be out for a second victory this season. 2 remarkable driver changes have to be noted at Proton Competition, as Marc Lieb and Gianmaria Bruni join the team for the race in Monza. 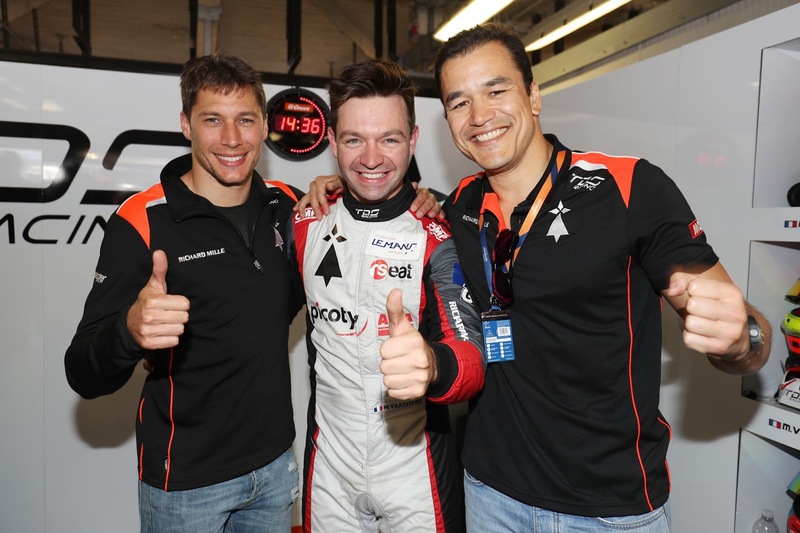 Marc Lieb replaces Dennis Olsen in the #77 Proton Competition Porsche 911 RSR, joining Christian Ried and Marvin Dienst, while Gianmaria Bruni will race the #88 Porsche instead of Matteo Cairoli. Track action starts tomorrow with the first 90 minute free practice session at 11h45 and the Bronze driver collective test in the afternoon (16h15).